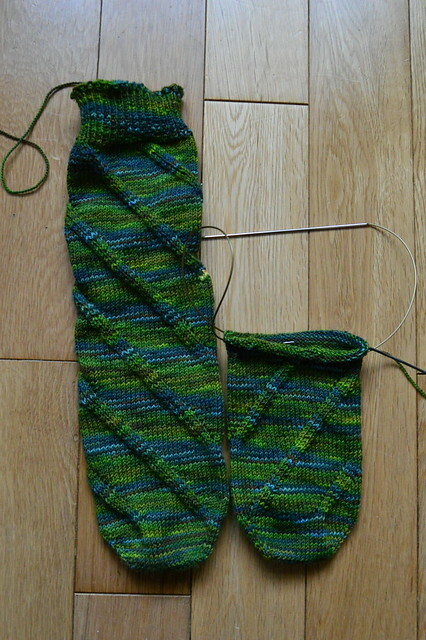 I've made good progress with Mr Soaring Sheep's Christmas socks. I'm going to do both the heels at the end. I've got about 15 more rows before I can put in the waste yarn for the heel on the second sock. I'll be using the same technique I wrote about here. I just love that blanket more every time I see it! And love the colour of those socks. You are way ahead of me with Christmas knitting! Love those socks! Gorgeous blanket! love the way you photoed your projects! The blanket is getting bigger and the socks are the prettiest socks ever! Both socks and blanket look great. 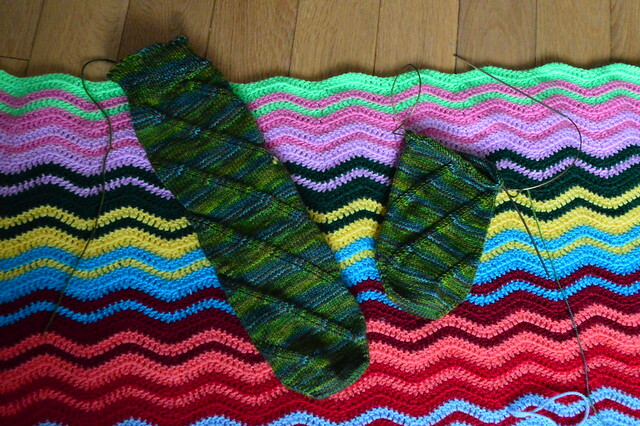 I love the spiral on the socks - it looks very cool! I just love those socks! I bet he's going to love them. And blanket is going to be super warm! Your husband will love those socks. I like the combo of colors for the ripple. It's somewhat electric with the lighter colors. It definitely goes with any season. These socks are so wonderful! And your blanket looks mighty cozy!